What is National Security Database? 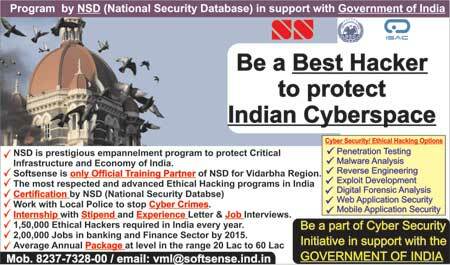 National Security Database is a prestigious empanelment program awarded to credible & trustworthy Information security experts with proven skills to protect the National Critical Infrastructure & economy of the country. India is known for its capability in Information technology. But it is also a fact that India is one of the top countries with highest rate of Cybercrime incidents and computer virus infections. This not only affects a lot of individuals but also the business and the Government, who are regular targets of coordinated hacking attacks. Even as organizations strive to protect their sensitive information to defend from phishing attacks, data leakage, malware threats, email hacking, website defacements and other attacks, the Government is struggling to train the law enforcement about hacking, move towards secure e-governance for the common man and protect its national critical infrastructure from cyber-warfare and insider threats. To address the security concerns at both the Industry and the Government, it is essential to seek assistance from Information technology and security experts. But can everyone handle sensitive information? To help India advance the physical and Cyber security of critical infrastructures or work on a responsible job in the corporate, it is necessary to have people who are not only competent but also with a high degree of trustworthiness and integrity. This process involves examination of references, technical skills, criminal history, and even psychology assessment to generate a credit report for security clearance. Obtaining a security clearance credit not only helps in gaining higher credibility but also makes it easier to both the Industry and the Government to identify professionals who can be trusted with protecting sensitive data. 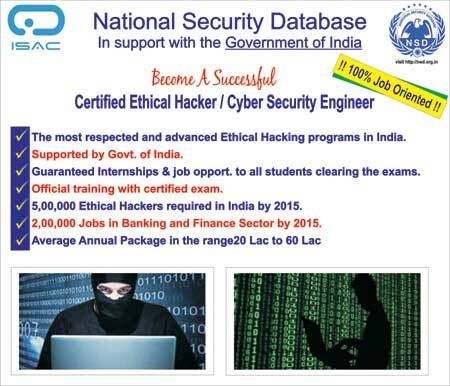 National Security Database is a prestigious accreditation program awarded to credible & trustworthy Information security experts with proven skills to protect the National Critical Infrastructure & economy of the country. The database also acts as a security clearance credit for accessing and operating on information for higher positions in the industry. What are the various specialty domains offered by NSD? Recommended for professionals with Hardware and Networking Background. Basic familiarity with Linux recommended. Recommended for Professionals with good understanding of Systems and Networks. Recommended for professionals with development and research background. Knowledge of Assembly language required! Recommended for professionals with Development background. Knowledge of Dot Net, Java suggested. Recommended for professionals with development background and strong foundations in debugging, assembly language. What are the different ways to Apply in NSD? The internship program is usually approved only if you have a development / programming background. Work on part-time basis for 3 months and earn 100% scholarship for official training and NSD exams. If you have over five years of direct experience in the Information security domain with credible skills, you can request your direct manager, CIO or CEO to nominate your name for empanelment in NSD. Requires a telephonic interview. Present technical research papers at various Indian security conferences and send the details to the foundation. If the research paper is approved internally, your profile can be considered for direct empanelment in NSD. 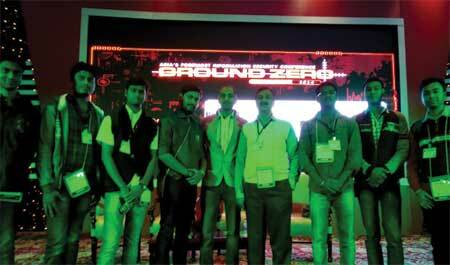 Researchers who have presented their work in various Indian Security Conferences. Students or Professionals who have less than 3 years of experience in Information Security, programming or research. A one year online course focusing on Cyber security policies, strategies, foreign relations and national security issues, professionals can take the fellow program and present a research paper at the end of term for successful empanelment in National Security Database. For Security managers, Journalists, Senior managers, CISOs, CXOs, Law enforcement, Government Officers with background in Military or Intelligence.